Passion Pit’s follow-up to their 2009 debut, Manners, reflects the intense personal transition the band has experienced over the past three years. With a stronger lyrical emphasis and a more diverse range of musical styles, Gossamer marks a second, more vulnerable chapter in the band’s history. The main shift in style is immediately evident in the first single, “Take A Walk.” In it, lead singer Michael Angelakos’ lyrics, which in Manners had been occasionally lost behind the tracks’ upbeat musical energy, takes a leading role. This change—both repeated and heightened in other tracks like “Hideaway”—makes Gossamer a more personal album that introduces listeners to a side of the band and Michael Angelakos’ psyche that was previously left unseen. However, it’s still easy to identify Passion Pit’s vivacious and spirited electronic sound throughout the album, giving Gossamer an innovative balance between vulnerable lyrics and musical optimism. Passion Pit pulls off this contradiction beautifully. 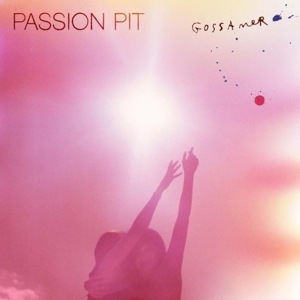 Gossamer also manages to venture into new musical territory, providing listeners with glimpses of Passion Pit’s versatility and creativity—“Constant Conversations” gives off a slowed down, smoother vibe while “It’s Not My Fault, I’m Happy” is a more ethereal track with a super intimate lyrical and rhythmic spine. The album’s sound takes Passion Pit’s trademark musical energy and modifies it to reflect the band’s newfound maturity and confidence, authentically displaying their evolution. And the product is nothing short of brilliant.